Sometimes he buckled under pressure and emotionally abused the wife that she was diagnosed with post-natal depression! The annoying part is that, the same people would beg her to baby-sit for them! The wife got a job months later, and since they could not afford creche or nanny ... please let me digress here; I liked Abiola nanny's post and a comment on the cost of child-care in jand ... so as I was saying, they got the services of the in-house-kind -of -creche that one pays daily, they also begged friends that were at home at certain days to help babysit, and they re-scheduled their working hours so that one of them could be at home at certain hours, all in the bid to reduce cost. But he complained the more because of the stress and no evidence of surplus income! He eventually told his wife to stop working and take care of their children. He met my hubby and was surprised at how we run our home, that he had to ask the above-mentioned question! 'We live strictly within our means' hubby replied. When we heard his story, hubby had a serious talk with him, that he should let his wife be, and don't let peer pressure get to him. Back home, I knew how hubby defended me to people when they asked why I was not working, but what I did not know was that, similar thing happened here and he didn't tell me, I only heard it the first time when we were discussing this issue. I was shocked! I then understood why some people don't like socializing with other Nigerians here! We are a small community, so everything is news and your business is everybody's business! 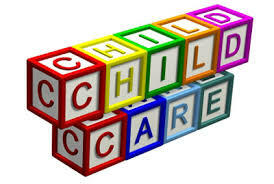 The truth my people is that, child-care is more expensive here than back home. Children don't start school until 4-5 years. But if one can afford private schools, they are accepted from ages 3, after they are potty-trained. The in-house-kind-of-creche, charges lesser. And the see-finish syndrome always rears it's head when friends help to baby-sit which leads to quarrel. A 12 year old child is allowed to stay at home alone for certain hours and can take care of only a 6 year old child and above. Of course, there are couples who have nannies and use day-care centers, but all I ask from people is that, when you see the glory, ask for the story, because, it's not always black or white, there are grays in between, and every couple have their lifestyle and knows their limits. P.s I pray for GOD to protect all children as HE protects HIS own very eyes, and just as a bird hovers around it's nest to protect it's young, so will GOD continue to defend every child through the mighty name of JESUS, AMEN!